This column is an inaugural column that I will do weekly, called "Final Drive". It will be an editorial piece that allows me to write at whim about motorcycles and motorcycle related content. Think of the editorial columns in the old Cycle or now Cycle World and you get the idea. Hopefully all who read will enjoy. I admit it. I am an addict. Not long prior to a recent vacation out west, I discovered a new addiction through Netflix. Originally, we subscribed to Netflix in an effort to keep my six year old daughter occupied on long trips, both abroad and to blanket street. In perusing their catalog, I came across a series I had always wanted to watch, but never could get control of the television when it was on or I was asleep at the time. 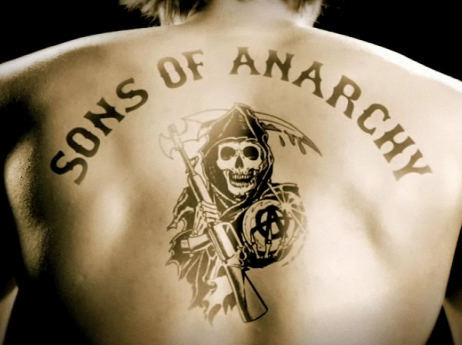 Of course this show is Sons Of Anarchy, the FX television series by Kurt Sutter, staring Ron Perlman, Katey Sagal and a cast of rather unusual characters. I watched season one before our trip and with internet access in the car during the trip, I was able to watch season two. The sad thing is, Netflix has only the first two seasons. Now I suffer, waiting for season three to come out on video and season four to air. My initial impression of the show was that it was Deadwood/Sopranos on Motorcycles. In fact, you will see a lot of actors from the series Deadwood on the show. I just wish they could get Ian McShane on the show. That said, after watching both seasons, I have to admit, I feel a little conflicted. It's the same conflict I felt when I watched The Sopranos. Being of Italian ancestry, I had an understanding of the show that some people might not get. It's a type of twisted pride that when I really think about it, I usually ask myself, am I nuts? On one hand I can relate to the culture on the Sopranos, but the behavior not so much, although I suspect there must be a genetic component that allows for that pride and understanding that transcends all things. So it goes with Sons of Anarchy. When I watch the show, it touches that individualistic spirit inside of me, the one that likes to give society, law and order the middle finger. I am not a troublemaker, but may be I would like to be and I think that is what the show tries to do. It tries to connect with my inner miscreant, my inner dirt bag. It's a little disconcerting, living in middle america, riding a BMW, with a somewhat normal job, home and family. Is it that I feign my daily existence or that I want to feign a contrived one on the TV? That's where it breaks down for me. 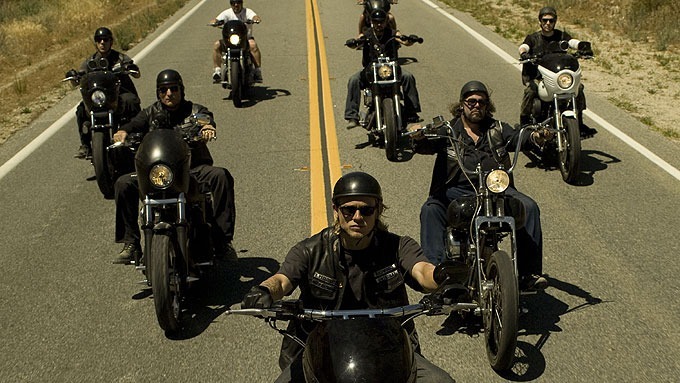 Like the tale of the turtle that helps the snake cross the stream, the reality of what a 1% Motorcycle Club really is comes back full circle, just like it does with the Sopranos, whose sociopathic tendencies are well documented. Anyone that reads Hunter S Thompson's Hells Angels or Queen's Under and Alone will quickly realize that something isn't quite right with these people. This is brought home in the episode "Hell Followed" in season one. In this episode, Marcus Alvarez, head of The Mayans, a rival MC, orders the hit of his own son Esai, for pay back on the attemped hits on Clay (reference: SAMCRO Wikia). I just can't fathom killing my own child and if you watch the episode, it doesn't seem to bother Marcus much. It's a reminder of who these people really are. It would seem to me, that in joining such a club, one would have to put the club before careers, friends, family, religion and country. Pretty much everything. And I don't get it (I do get it, I just don't subscribe to it). 1%er MC gangs are often portrayed as some 20th century version of the American cowboy, gunslinger and anti-hero rolled into one. The alleged paradigm of rugged individualist seems to fall apart when you examine some of their rules and behaviors around them. Their colors, kuttes and territory (or even the requirement to ride a Harley). Beat downs and I bet killings have happened because of some violation of a non-club member of a rule they may or may not be aware of. Living within such structured guidelines and the behavior to defend something that at best seems childish is hardly what I would call living as a rugged or any other kind of individualist. It's tribal, sometimes at its worst and in my opinion, an effort to setup a parallel structure of authority within our existing society. It's nothing new and just another mob whose methods are force and intimidation. Meet the new boss, same as the old boss. Honestly, if they had anything of value to bring to the table besides physical violence and selling drugs, I might sit up and listen. True freedom is about the idea that anyone can pursue their dreams according to their will, restricted only by the equal rights that everyone has. Men exchange ideas, goods, and capital freely without fear, intimidation, or political interference. When we get there, I will let you know, but the lifestyle isn't about that. They are just another tribe that wants to compete with the head tribe. 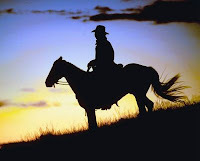 Now that I have totally gone off the tracks here, let me say that in spite of this, I still like the show a lot and I am attracted to some of the themes, particularly the idea of hero/anti-hero in the context like Clint Eastwood in Unforgiven. Specifically in the series, the character of Wayne Unser comes to mind. Here is a man that is a dirty cop, and yet he is also a good guy too. It's multidimensional in a world if white hats and black hats, I do appreciate the effort to portray people in a more substantive and sophisticated way. That said, I am probably too much of an individualist to be part of something like a 1%er MC as I have my own moral compass that I follow which is uniquely my own and I wouldn't compromise it for Uncle Sam or the Hells Angels. I guess I'd be an outlaw amongst outlaws. Anyone that colors outside the lines or isn't like the rest tends to get hammered eventually. Believe me I know first hand. So now I am forced to wait for the 3rd season on video, so I can get the background for the forthcoming 4th season. 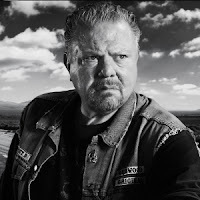 My favorite character on the show is Piney. 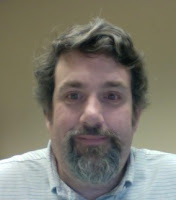 I am a big guy like him, but about 21 years younger than Bill Lucking. May be I could play his kid brother? That would be a gas. Anyway, in spite of my discourse here, I do think they have a well produced and acted show with writing that is more than adequate. It does follow a serial format where you need to watch the shows and seasons in sequence, hence my animated desire to get season 3 under my belt, and I will. Yeah, couldn't imagine me getting hooked on such a series, but ..... it has happened. Here in Oz, have just finished season 1. Looking forward to the rest. Hey Paul. Thanks for commenting. I've seen the first two seasons through Netflix, but they havent posted season 3 yet. Season 4 is out in a couple weeks for the new season. Thanks again for reading my blog.